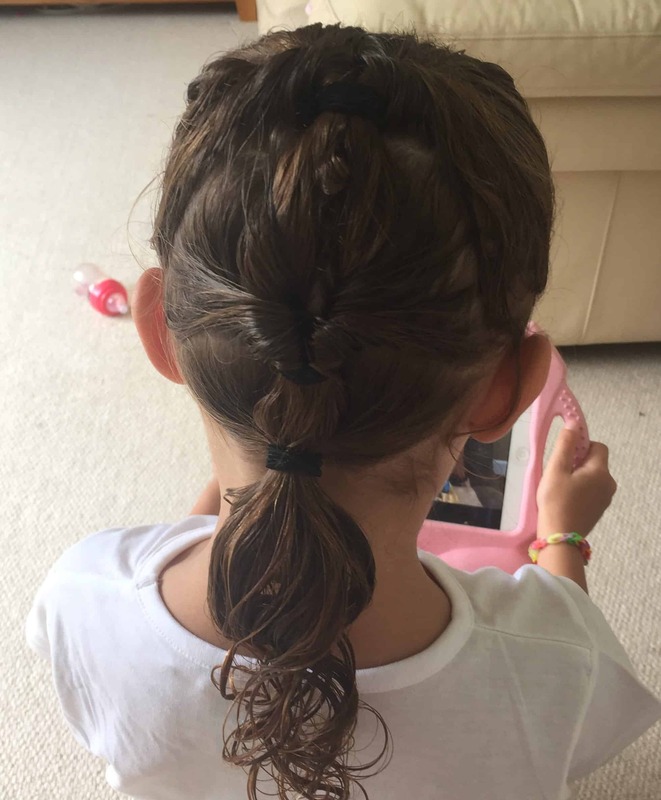 My daughter Millie is going into year 2 and has just started the 'i don't like that hairstyle' stage which i think they all go through. 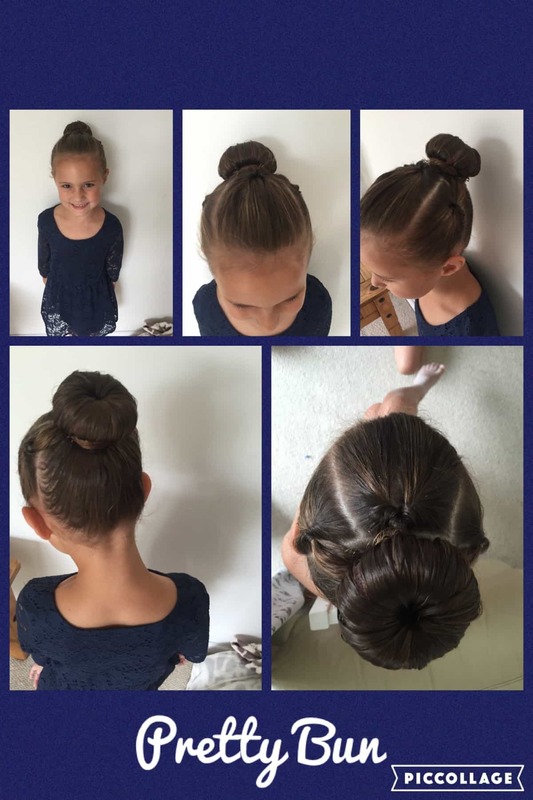 We all know at 7 in the morning this is the last thing we want to be worrying about so i thought i would help you with some new easy and fresh ideas that your daughters will love and so you will ! Watch the videos and practice your favorite ​... good luck. 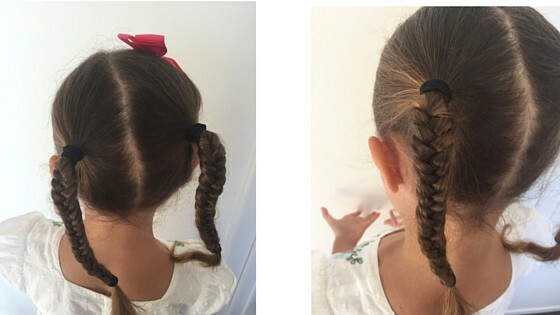 Pigtail Plaits is one of millies favorites its a regular request in the morning before school. Simple but pretty. 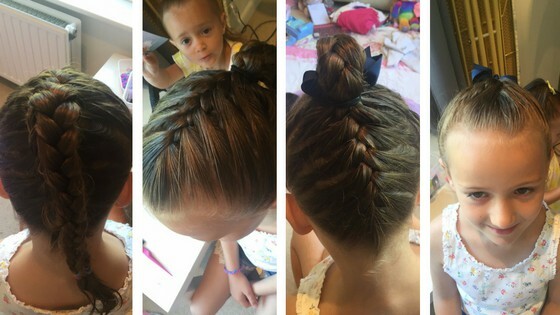 Such an easy but different hairstyle. 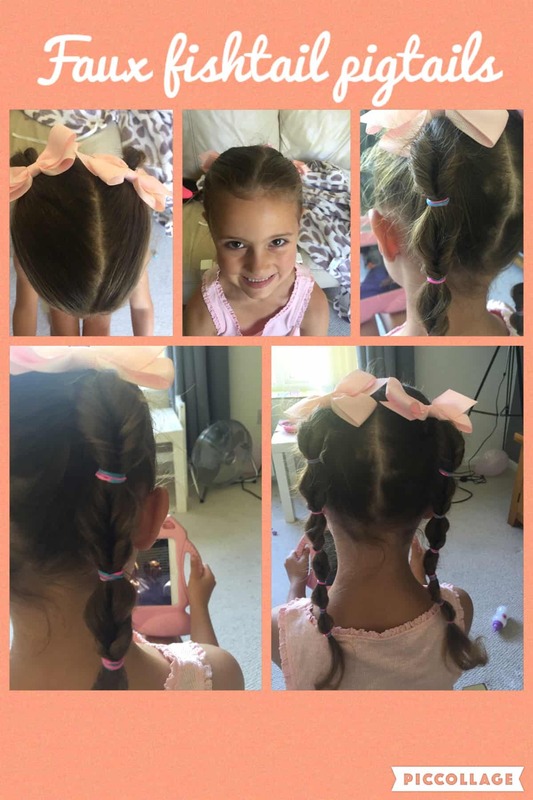 You can create as many sections as you want down the hair, i chose to do three as this was the quickest option, you could also choose some different colored hair bands to brighten it up! 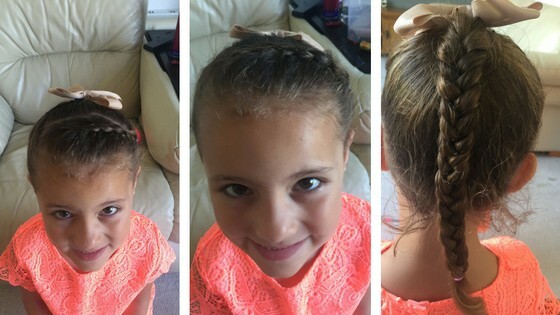 Every body can create a neat ponytail plait ... sometimes the simple ones look the best ! 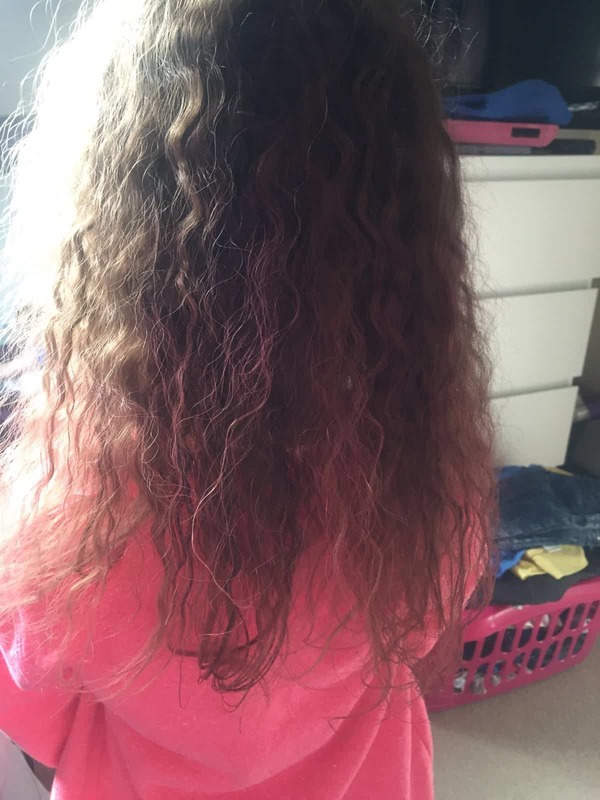 Millie had crazy hair day at school so we thought it was a great opportunity to plait her hair the night before and let it go crazy (with a bit of pink spray to make it even more crazy) ! 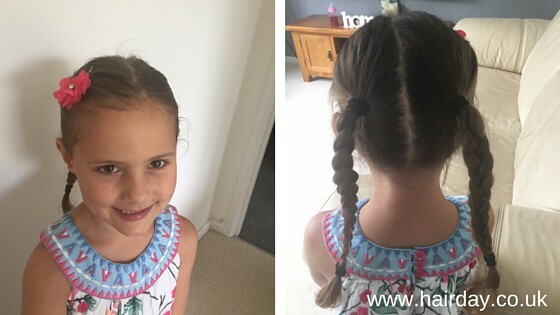 French plaits are easy when you know how. 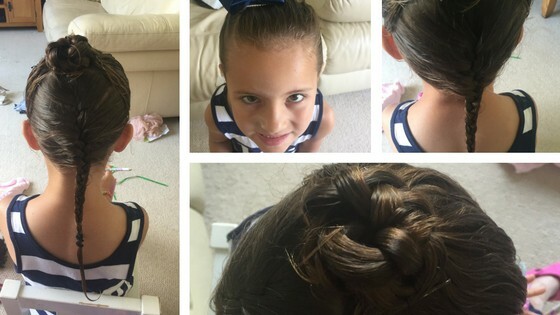 They are also a great hairstyle that really will last the whole day ! 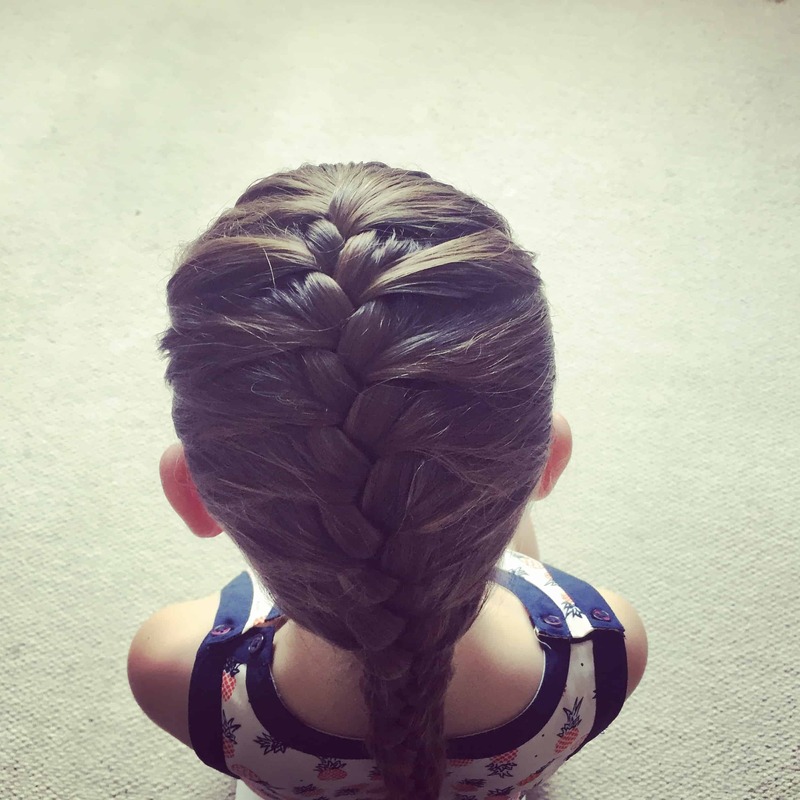 Divide into three sections at the top of the head like you would do to start of a plait and every time you put the left section over the middle you need a piece of hair from the left and the same for the right all the way to the end. Get practicing its easier than you think !! This look has to be one of our favorites so far. 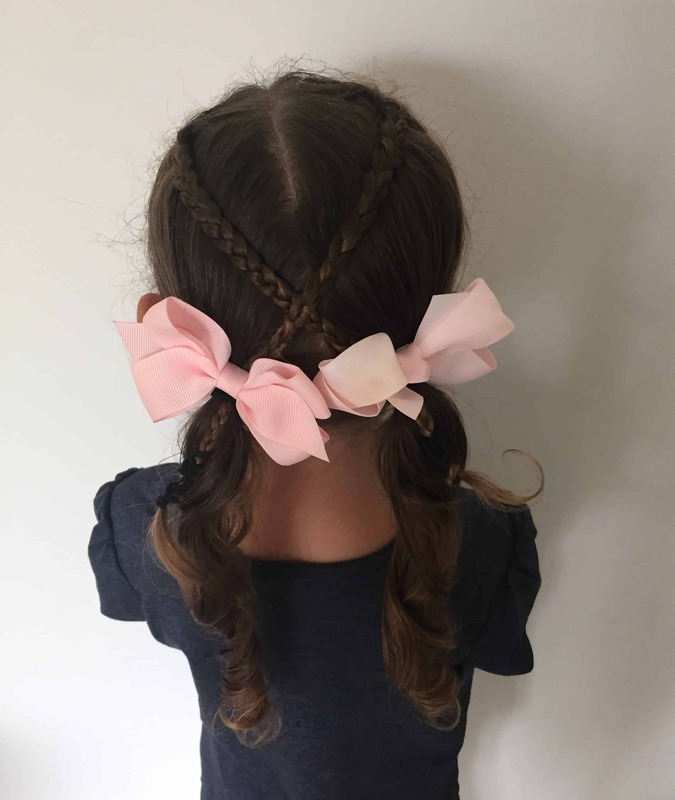 Its so simple yet looks so pretty, two mini plaits with the front part of the hair which are then crossed at the back when created your bunches ... easy ! Simple yet effective. 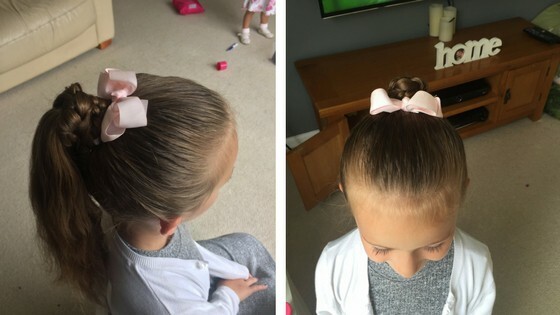 Part a small section of hair from your ponytail to create your plait with and wrap it around your hairband of the ponytail and whoa-la a beautiful simple hairstyle read for school! 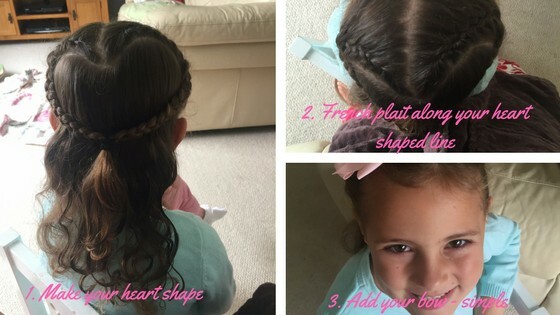 No video was made whilst creating this hairstyle but as you can see in the pictures below if you know how to do french plaits then this is easy peasy ! firstly section your heart shape and then tie the parts that aren't needed to one side. 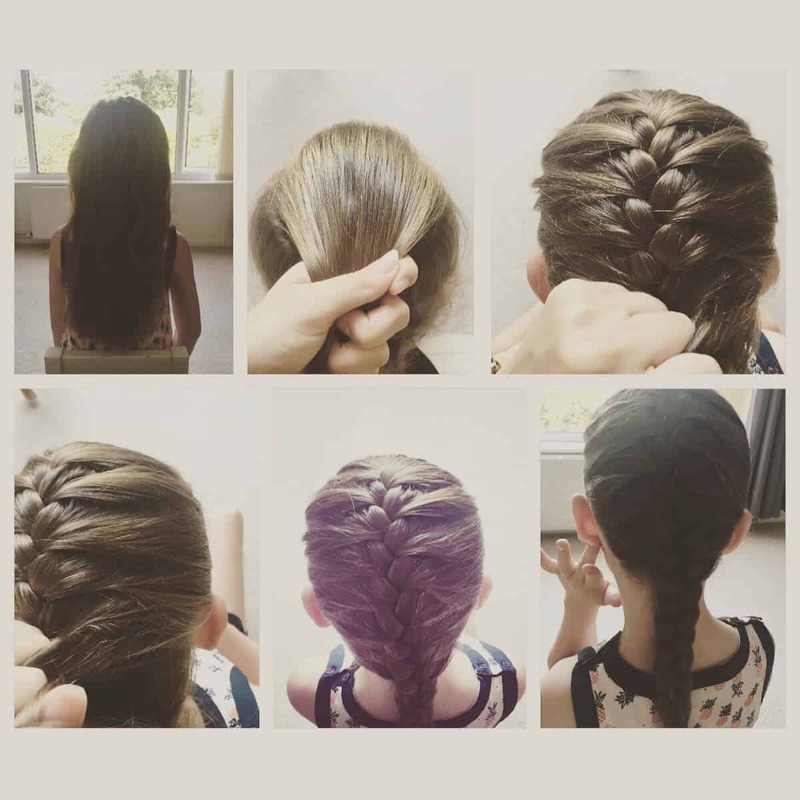 Then continue to french plait each side following along the shape of the line until your two plaits meet in the middle where you can tie them together. This style looks beautiful. 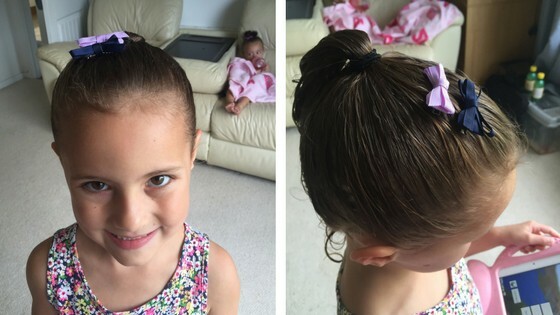 i bet your thinking boring right just a ponytail ? 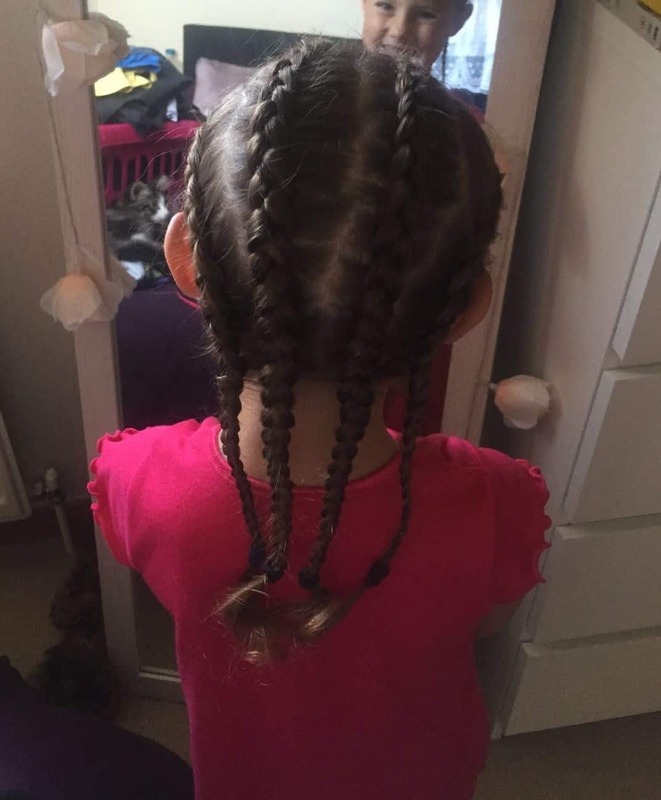 but sometimes when your in a rush and you only have a few minutes this is the perfect style. 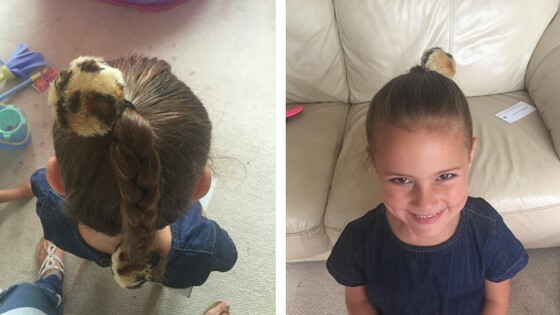 This idea is great and the girls were most impressed that it was a 'Repunzal' alike plait. 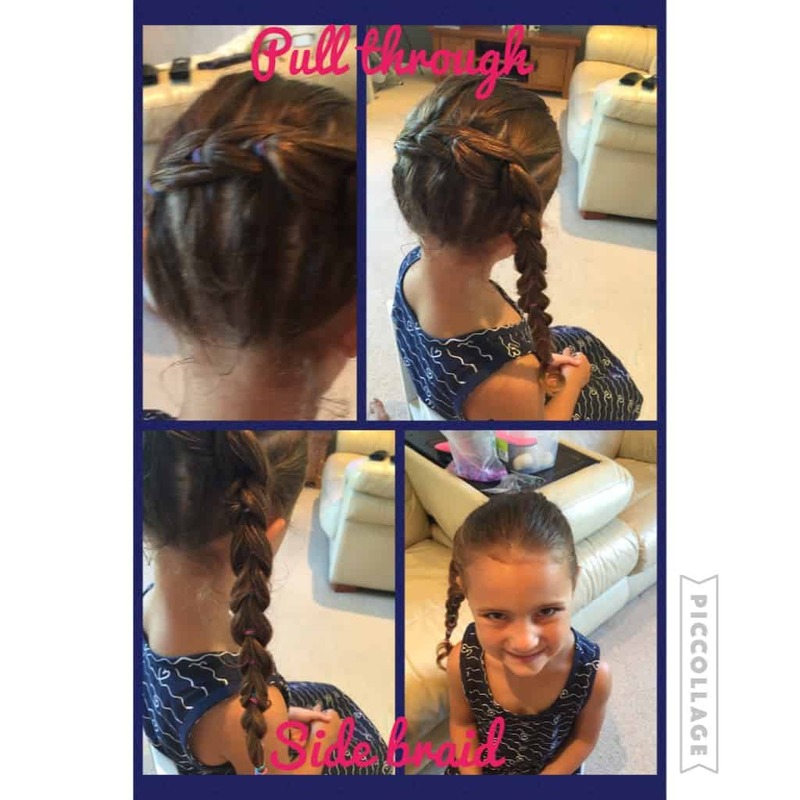 All it take it created two plaits where you twist them together easy! 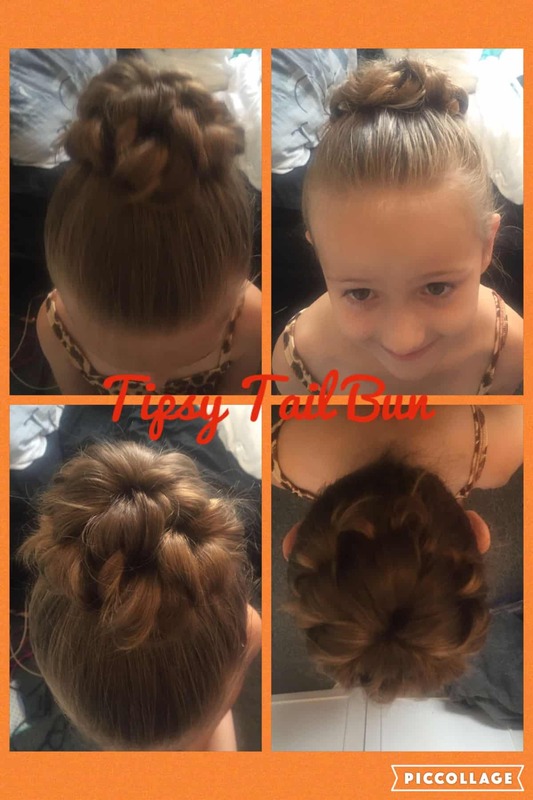 This is a very easy and pretty hairstyle but cant be created without the topsy tail they are really cheap and easy to use have a watch of the video below. 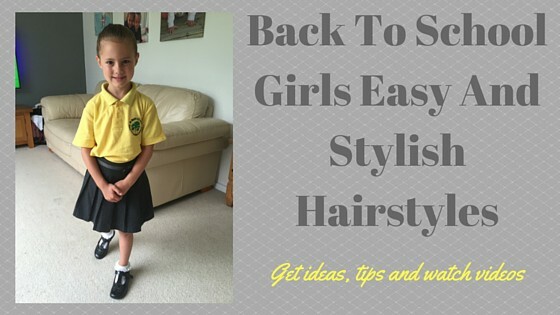 This is a great easy style for school looks neat , tidy and lasts the whole day perfect! 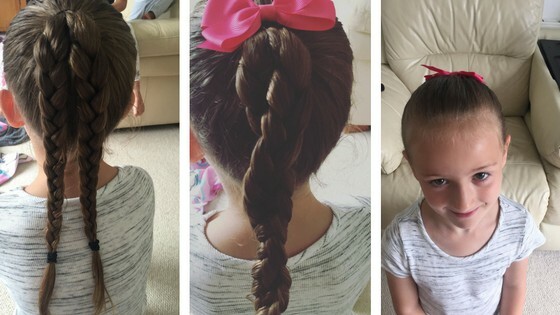 I hope that some of these hairstyles above will help you with some ideas for those early morning school runs, preventing any stress and rush ! good luck ... i would love to hear how you get on or any photos posted would be great !! 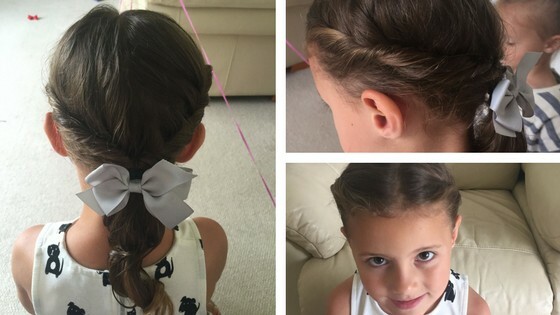 Loving these styles for all ages and ideal for going back to school and keeping all the hair neatly tied back while adding some style perfect!